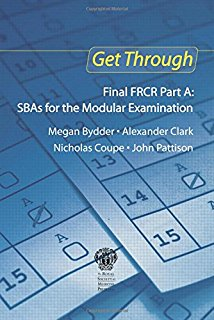 The FRCR 2A exam is a tough exam and the earlier you start to prepare for it the better. The exam style has changed this year from the 6-module exam to one big exam encompassing all 6 modules in December of ST3. 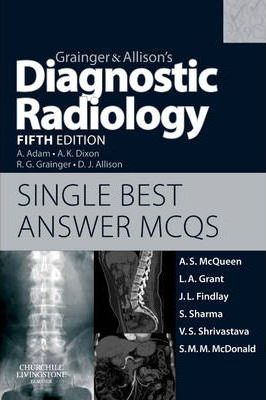 We find the best way to revise for these exams is to invest in a good Diagnostic Imaging textbook – The SRT recommends Diagnostic Radiology 6th edition by Grainger & Allison 2 volume set, however there are a few textbooks such as Primer, Brant & Helms and Dahnert that you may also find useful. Another important aid to your revision is to read Journal articles, particularly from Clinical Radiology as the questions will be based on some of these articles. Radiographics, Radiology and the British Journal of Radiology also have great review articles on every topic imaginable! 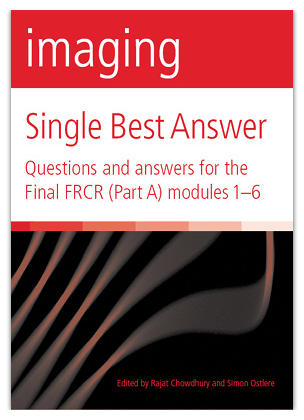 These books are the best question books for the Final FRCR 2a exams and contain questions that have the closest resemblance to the FRCR 2a questions. Dr Robin Proctor, SRT President from 2007-2009, edited this book. The ‘Get Through’ book contains 100 questions per module and is a good revision tool. The more questions you can practice the better! The G&A question book is a decent aid to revision however lacks detailed explanations of the answers and references to the 5th edition Grainger and Allison textbook only. There is now a sixth edition of the Grainger and Allison textbook, which is most certainly worth owning – published by Elsevier. Members of The SRT can get 30% off Elsevier e-books and we definitely recommend this textbook for reference. You will also be able to access the textbook online and on your mobile via the Inkling app. There is now a sixth edition of the Grainger and Allison textbook, which is most certainly worth owning – published by Elsevier. You will also be able to access the textbook online and on your mobile via the Inkling app. 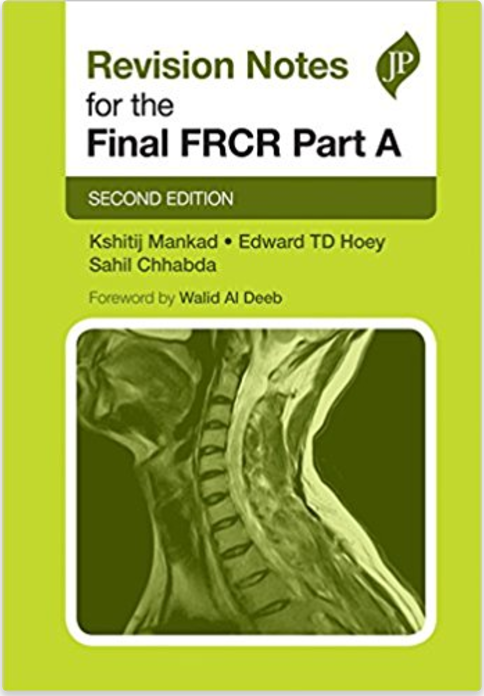 Revision Notes for the Final FRCR Part A – 2nd edition. This is a succinct set of revision notes covering all 6 modules. It is a great read a few days before the exam to consolidate your knowledge with a 2nd edition now available. Previous SRT committee members have written the chapters in this book. This book is excellent and comes with thorough explanations and good references. It is divided into 6 chapters and contains 75 questions per module. 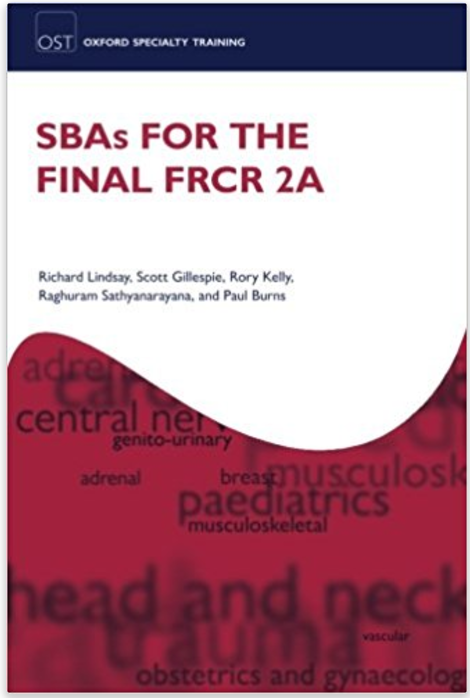 SBA’s for the FRCR 2A – The ‘Cambridge’ book. 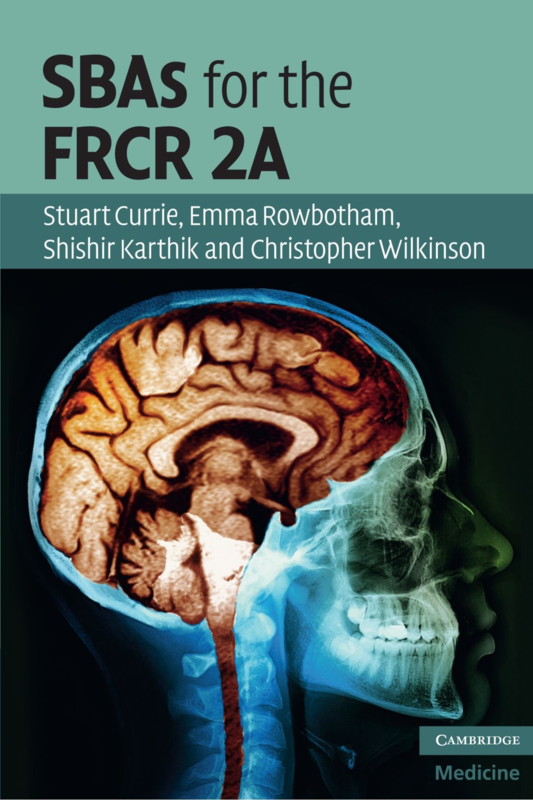 This is a useful book particularly for the Neuroradiology and MSK modules. 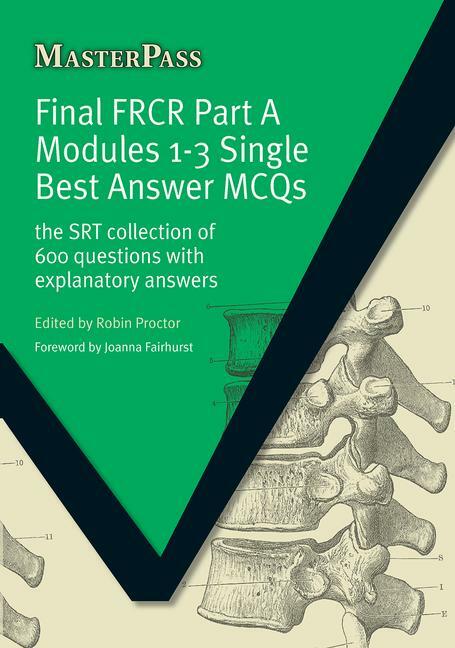 It contains 60 questions per module which is less than other question books however there is a good mix of questions covering the breadth of the exam topics with detailed explanations. This is a British Institute of Radiology (BIR) publication. 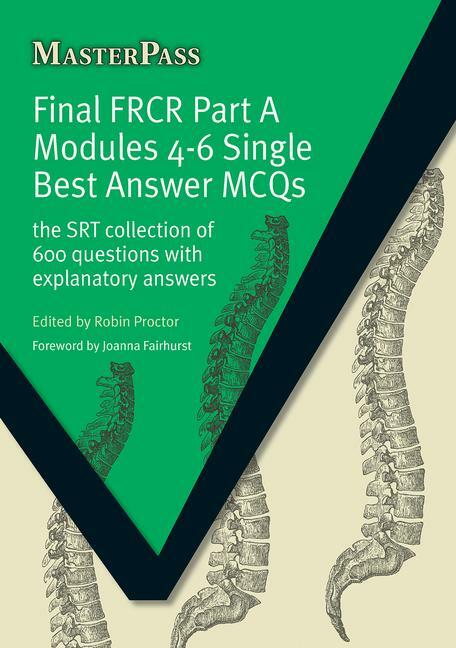 It is currently the newest question book on the market, published in 2014, and contains 75 questions and detailed explanations for each of the modules. BIR members can purchase this book for only £18.75. As a member of The SRT you can get 20% off the BIR membership fee! There is a mobile app version of this book, which is very convenient for revising on the go. The app is available in iOS from iTunes and in android from the Google Play store.